Took a little holiday break, but now am getting back into the swing of things a month into the new year. 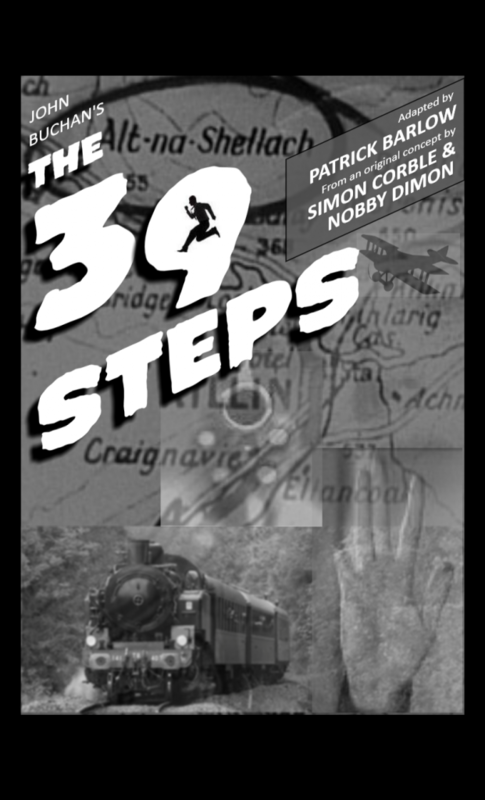 I have a couple shows coming up in the next several months, but in the meantime I thought I would pop back in time a couple of years when I directed a production of The 39 Steps, a wonderful piece based on the early Hitchcock film (based on the book of the same name by John Buchan). It consists of four performers recreating the entirety of the film on stage on a shoe string budget. And it’s absolutely hilarious because of it. As it turned out, although I was just on this as director, my lead lost his voice and had to bow out three days before we opened. Show must go on and all that, so I stepped in. What a whirlwind that week was! At least I had already prepared my cocktails for the show, which I based upon famous films in Hitchcock’s oeuvre (what a wonderfully pretentious word that I never get to use, since I always forget how it’s pronounced).